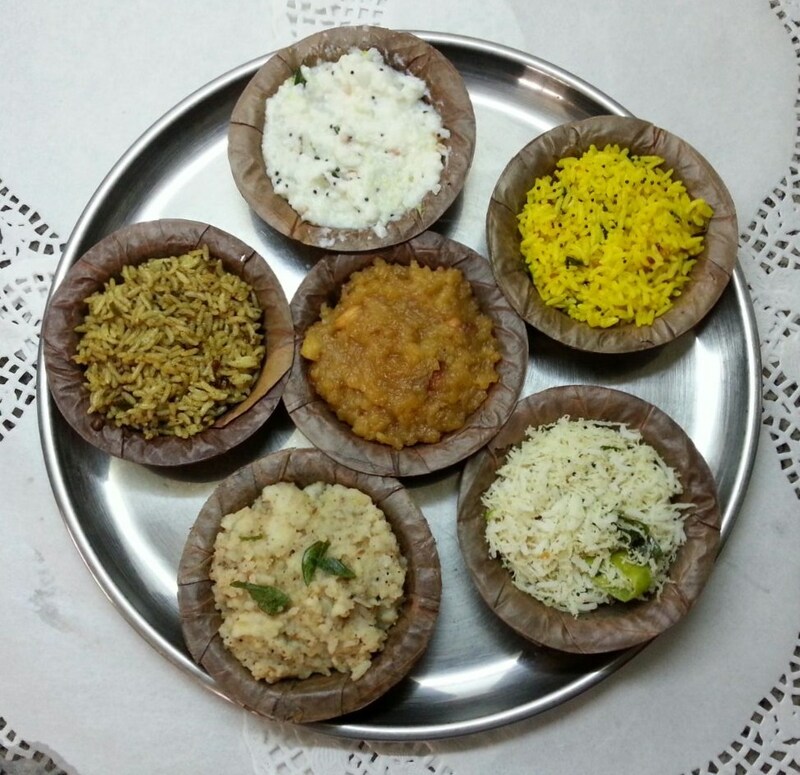 and roasted potato dry curry to go with the rice varieties. 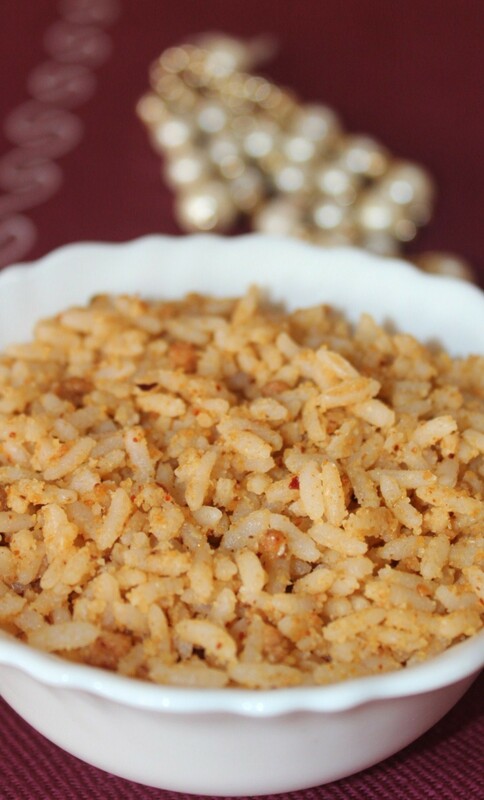 So, its time to share Ellu Saadham/Sesame Rice, a very simple and quick meal. 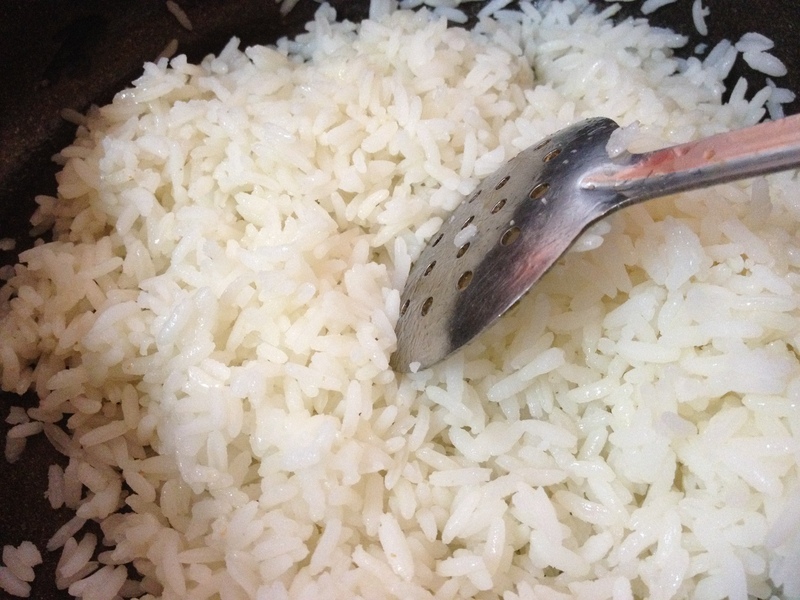 Mix the powder in rice thoroughly till blended well. Fry curry leaves in minimum oil and mix in the rice. 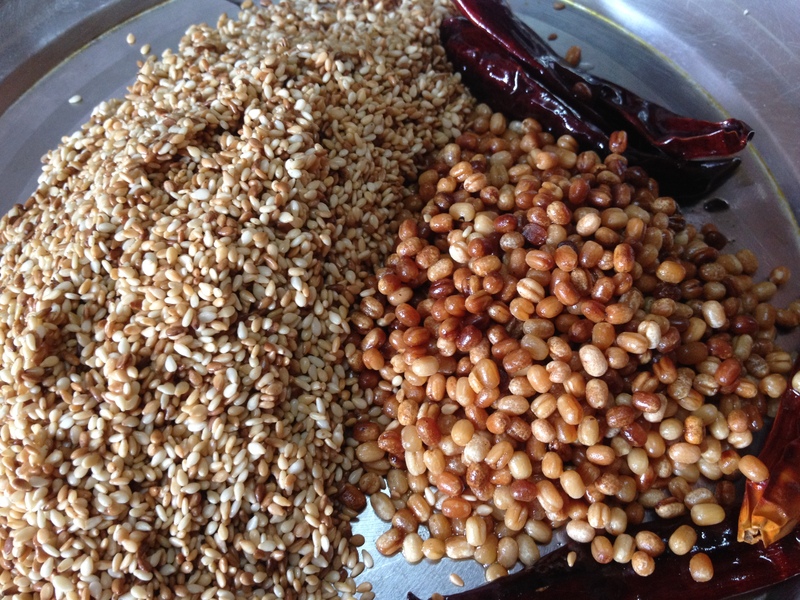 Black or White Sesame Seeds can be used. 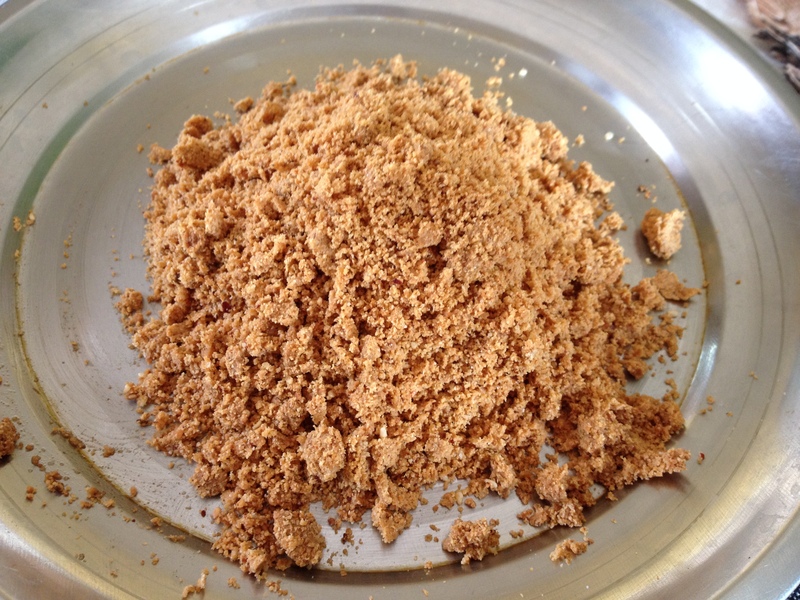 Gingelly Oil which is made from Sesame seeds is preferable. But other oils can also be used. 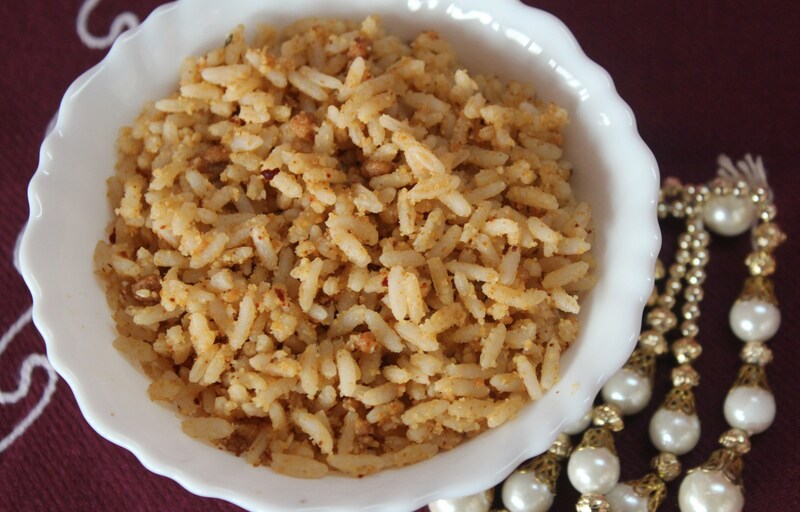 One or two tsp of grated coconut can also fried and grinded together with the dry ingredients. 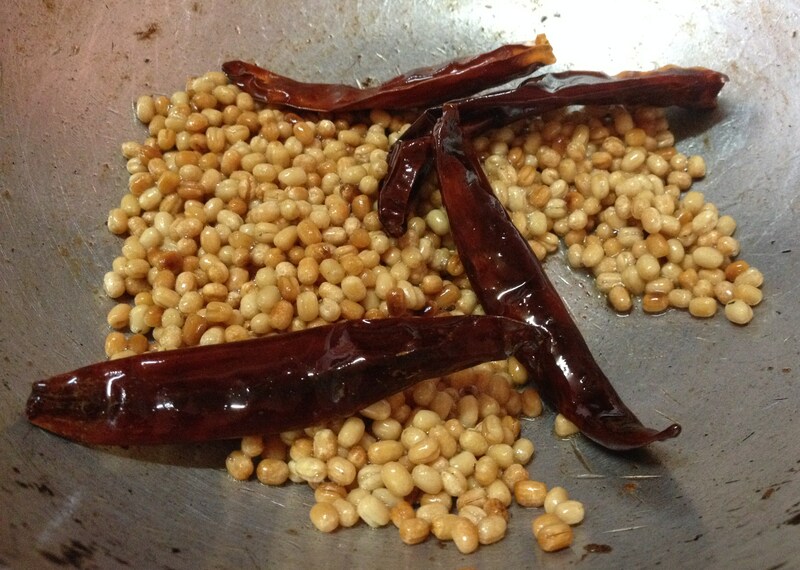 Seasoning with mustard seeds can also be done with curry leaves.